Under the leadership of Governor Larry Hogan, Department of Labor, Licensing and Regulation (DLLR) Secretary Kelly M. Schulz today announced the selection of William E. Dallas as Assistant Commissioner of the Division of Labor and Industry. Mr. Dallas will oversee the administration of the Maryland Occupational Safety and Health (MOSH) program in Maryland. A Certified Safety Professional (C.S.P. 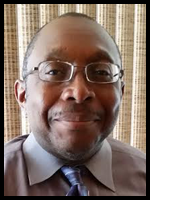 ), Mr. Dallas is a member of the American Industrial Hygiene Association and comes to the State of Maryland with a background in managing both public and private safety and health programs. He holds a Bachelor’s of Science in Environmental Management and a Master of Science in Environmental Management from the University of Maryland, University College. He most recently worked with Prince George’s County Public Schools and prior to that with a national consulting firm where he managed a regional office. “The Hogan administration believes an efficiently run state safety and health program will make sure Maryland workers return to their families at the end of the day in the same condition as when they left to go to work,” said DLLR Secretary Kelly M. Schulz. “We are confident Mr. Dallas shares the Governor’s vision to provide worker safety outreach, education and enforcement in an effective and fair manner,” she said. The Division of Labor and Industry works to improve the safety and health of Maryland's working men and women in both the public and private sector by providing consultation services, outreach and educational programs, establishing partnerships, setting and enforcing standards, and encouraging continual process improvement in workplace safety and health. MOSH develops and proposes rules and regulations designed to prevent injuries and occupational diseases in every occupation or place of employment in Maryland. The Maryland Department of Labor, Licensing and Regulation (DLLR) is committed to safeguarding and protecting Marylanders. We're proud to support the economic stability of the state by providing businesses, the workforce and the consuming public with high quality customer-focused regulatory, employment and training services. For more information on the many free job placement and training services provided to Maryland residents, please check out our website and follow DLLR on Twitter (@MD_DLLR) and Facebook.